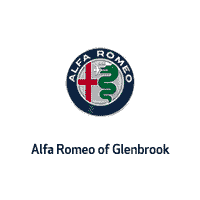 At Alfa Romeo of Glenbrook (serving the greater Indianapolis region), we know you respect your Alfa Romeo car as much as we respect ours. We’ve found that most of our customers have a higher standard of excellence – both in terms of what they expect from their cars, as well as what they expect from us. After all, if our customers didn’t have such high expectations they wouldn’t have purchased an Alfa Romeo to begin with! That’s why we believe in providing only the highest quality auto service from the most qualified Alfa Romeo professionals in the greater Fort Wayne, IN, region. Our highly qualified technicians will always strive to provide exceptional service for both you and your vehicle in a timely manner. We’re confident that not only will you walk away perfectly satisfied with your vehicle’s maintenance, but that you’ll also be fully satisfied with our communication and efficiency on the job. And not only do we specialize in fixing up older Alfa Romeo vehicles, we’re also happy to help assist you in preventative care for the new Alfa Romeo owners out there as well! So regardless of whether you need light body work or a heavy engine overhaul – we want you to feel confident in our service experts at Alfa Romeo of Glenbrook and our general standard of excellence. Contact us to get a quote or set up your service appointment today!